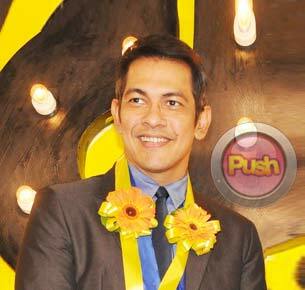 Gary Valenciano admits he has mixed emotions about his sons entering a new phase in their lives. Gary Valenciano revealed that eldest son Paolo and his fiancée recently held a despedida de soltera for their families and friends before they tie the knot. Mr. Pure Energy said that Paolo really took his time to prepare for the new stage in his life that he is about to enter. It is a “double whammy” for Gary V. because while his eldest will be getting married soon, his second son, Gab, will leave this March for the US to study. “Gab is leaving in March. That’s the one that’s also medyo masakit kasi the next time I see him baka December na. Matagal nang plano ni Gab,” he revealed at the press conference of ASAP 18 for the show’s 18th anniversary. Gab will leave behind girlfriend Coleen Garcia when he leaves for the US. Gary said that he recently talked to Coleen to ask about Gab, and the young celebrity told him that Gab’s impending departure is beginning to sink in. Gary said that what’s harder about the situation is that while his two boys are about to enter a new phase in their lives, Gab will be physically away. “It’s difficult because between Paolo and Gab… when Paolo gets married, he’s in the Philippines. When Gab leaves, I really, really think he’s going to end up staying in the States because he’s already met people there, eh. He’s met the people I know and they’ve already said, ‘You come to the States we’ll work together,’ ganyan-ganyan,” he related. “He’s never been away from the family before, eh. Every time he needs us, we’re there. But he’ll be in Florida, very near my mom’s house and the rest of my family that’s there, so that’s good,” Gary added.